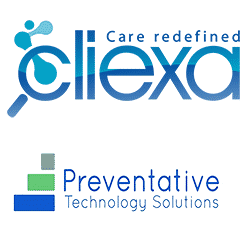 Denver, CO, December 19, 2017 — cliexa, Inc., developer of a mobile platform for chronic disease management, announces today a collaboration with Preventative Technology Solutions, Inc., (PTSI), provider of medical assessment applications and mHealth prevention services for adolescents and young adults. cliexa has licensed PTSI assessment technology to launch cliexa-Options, a suite of behavioral health apps for primary care and family medicine physicians which will help determine risk level for sexual activity, substance use and other issues. UC Health Longmont is piloting the sexual risk assessment app in its clinic and the service is reimbursable by major insurance providers. Half of the nearly 20 million new sexually transmitted diseases (STDs) reported each year were among young people between the ages of 15 to 24 and nearly 230,000 babies were born to teen girls aged 15–19 years in 2015, according to the CDC. Undiagnosed STDs cause infertility in 20,000 women annually. Facilitating conversations between patients and their physicians is a significant step necessary to reduce costs and chronic conditions often associated with adolescent behavioral health. cliexa-Options delivers precise, evidence-based assessments that patients complete on a tablet in the physician’s office before their appointment, creating a structured report using proprietary algorithms for each risk area. The reproductive health app supports early identification of patients at highest risk of acquiring an STD or experiencing an unplanned pregnancy. The mental health and substance use apps identify mental health screening, substance use and resiliency in patients. cliexa is adding cliexa-Options to its award-winning, digital health platform specializing in patient-reported outcomes and value-based care. The company has partnered with Kaiser Permanente Colorado Rheumatology Clinic at Rock Creek and Colorado Permanente Medical Group since 2016, piloting cliexa-RA for rheumatoid arthritis disease management. “This is an exciting collaboration, and we anticipate being able to serve our medical providers with better digital health technology services in underutilized areas of primary care,” said Scott Fowle, CEO of Preventative Technology Solutions. Founded in 2015, PTSI provides health promotion software on a service basis for providers who work with adolescents and emerging adults. The apps improve assessment and treatment outcomes for sexual heath, mental health and substance abuse risks, allowing patients to collaborate with providers to establish healthy behaviors. PTSI technology supports access to population data to analyze, and further understand and improve treatment outcomes. Learn more about PTSI at //www.mypreventtech.com. The mobile platform technology developed by cliexa enable patients to track their chronic disease activity by quantifying symptoms using scientifically-proven and clinically-validated scoring models. cliexa delivers quantified disease activity and medication adherence through patient reported outcomes by real-time integration to electronic medical records which streamlines processes and increases efficiency in population health management.